Earlier this year we gathered the latest interior designs that were predicted to be a trend in 2017. Now five months in (what?! ), let's take a look back and see which trends are living up to the hype, which trends pleasantly surprised us and which trends fell flat. Let's be real, wallpaper has a horrible rep. Take a peek at these wallpaper trends that are doing just fine so far in 2017. Not many predictors saw this trend catching on so fast! 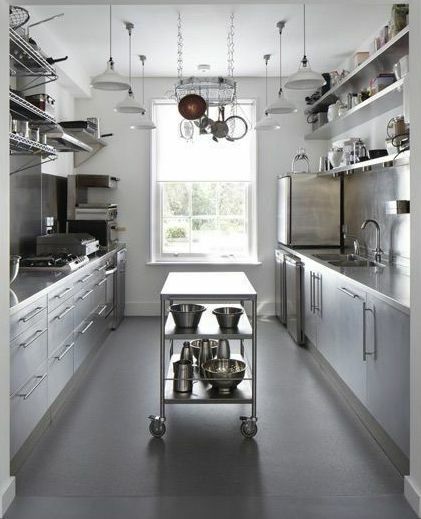 Check out these kitchen floors and let us know if you'd be that bold with your design. What a bummer! We love a chalkboard wall (or two). But luckily, cork board walls- or "cork walls"- are being phased in. We can dig that. Stainless Steel Appliances- Too 2016? While we agree that stainless steel is seen everywhere (we mean everywhere), what's a realistic alternative? Some say Retro-inspired appliances, some say stainless steel is too good to go out of style. What trends have you seen so far in 2017?